The Party Centre carries a series of items essential for trade shows, such as our backdrops which serve perfectly as dividers to close off a booth or area. In addition, our various lengths of red carpet and stanchions can be rented for walkways or line ups. Also among our inventory we have podiums, microphones, table skirts and other linens to cover your trade show table flawlessly. To ensure you’ve got everything you need to make your event one to remember, we’ve got a large variety of Audio Visual Equipment to astound and excite your guests. 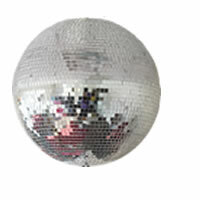 Whether it be a dazzling disco ball, LED music light, fog machine or even a full P.A. system including microphones, the Party Centre is fully stocked with your party needs. The Party Centre is continuously updating our décor to match the changing trends. From candle holders to vases for centerpieces; from wedding arches to pillars and easels for wedding decor, we continue to grow this section of our inventory to help our customers complete their events with a modern touch.